There are multiple artists with this name: 1) Everly is a folk-girl-duo comprising of actress Bethany Joy Galeotti and her music partner and friend Amber Sweeney. 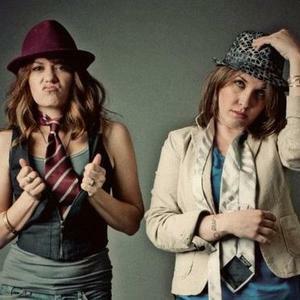 "Bethany Joy Galeotti and Amber Sweeney have been writing songs individually for as long as they can remember. In 2008 they decided to use their long-time friendship for greater good creating Everly, realizing that two songwriters are better than one. 2) Everly was a female fronted rockband like Paramore from Dallas, Texas. Myspace: www.myspace.com/everlytx.